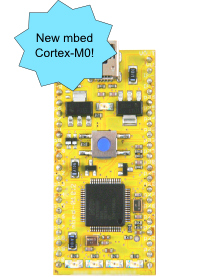 I've just heard that I have been accepted for the beta test program for the new mbed cortex-m0. I'm going to build a logic analyser which transfers data via the USB interface to a PC for analysis and display. While one can do this using the existing mbed and serial communication's, I think the USB approach should support significantly higer data rates. I've set up a new project page in my notebook at mbed.org. Comments and suggestions welcome!